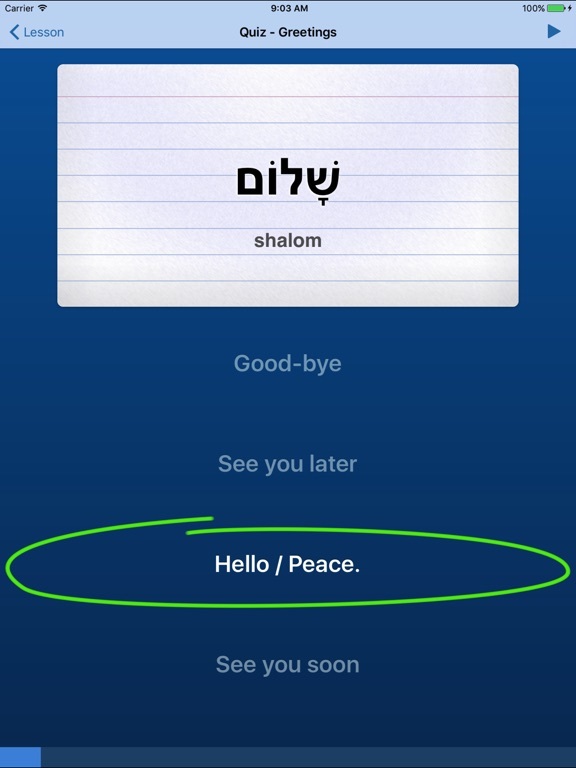 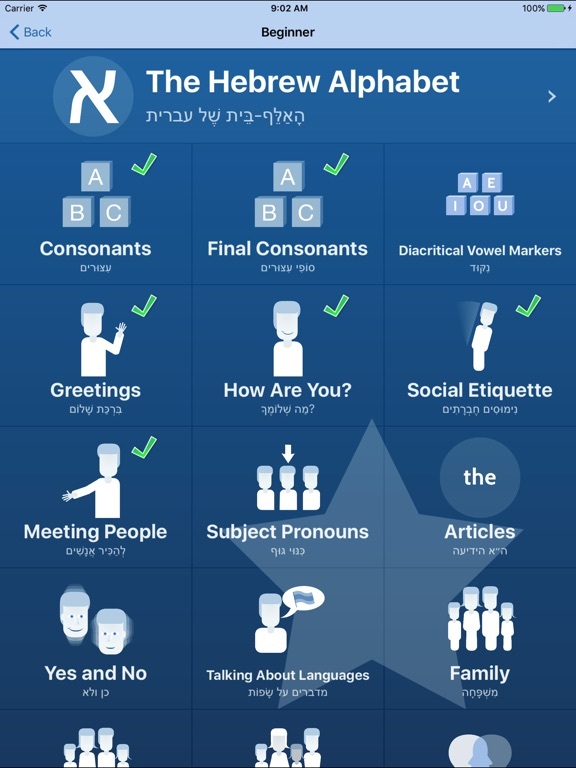 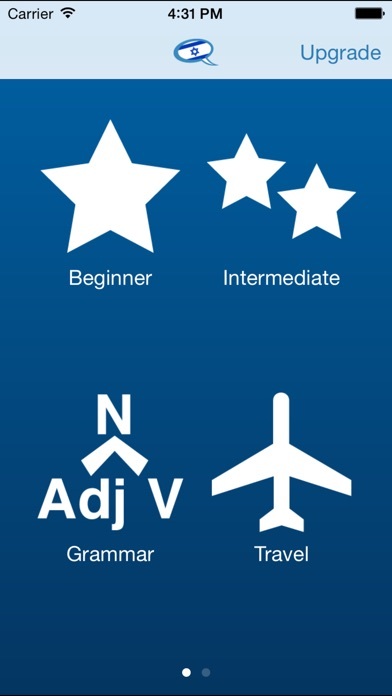 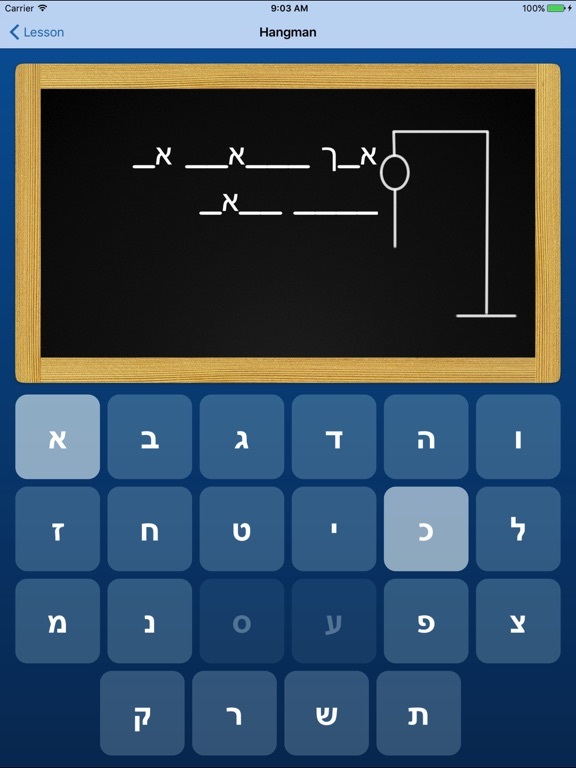 MA KORE ® is the award-winning app that makes learning Hebrew simple and fun! 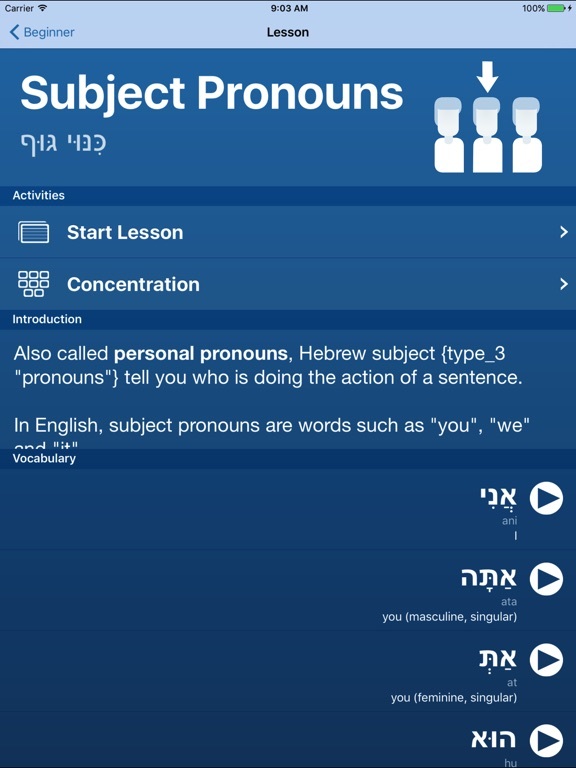 Quickly learn essential vocabulary, phrases, and grammar concepts. 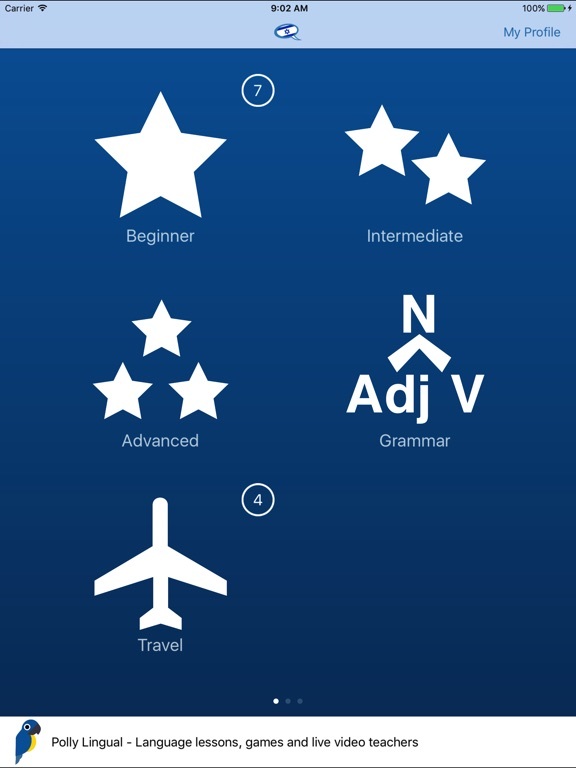 • Contains 86 lessons based on REAL LIFE situations including flight and hotel reservations, dining out, shopping, exploring and meeting new friends. 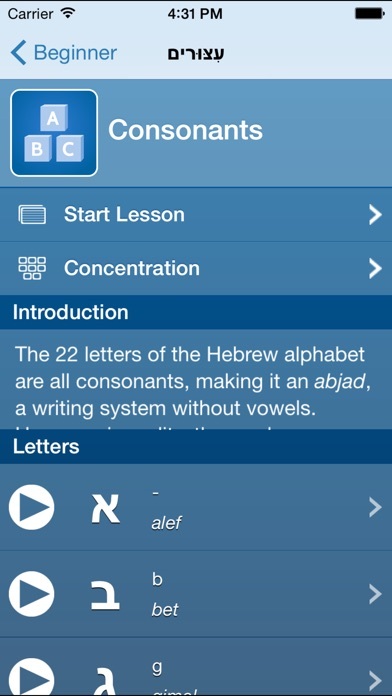 • Includes complete HEBREW ALPHABET course. 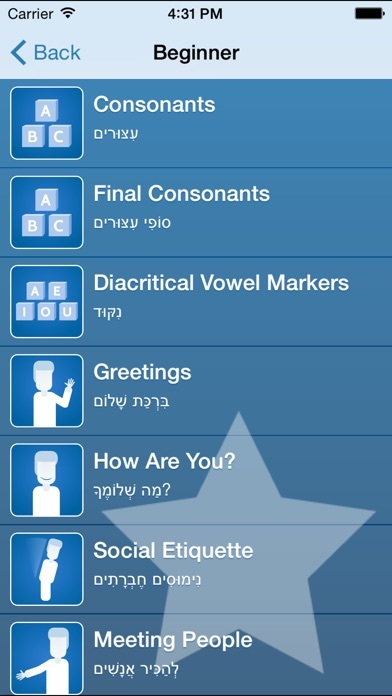 Annual subscription for $US9.99 (or the equivalent in local currency).